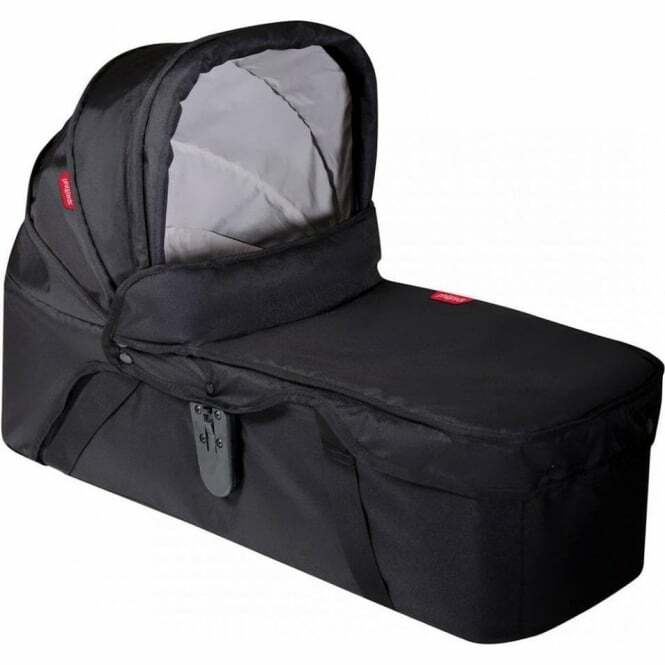 Phil & Teds Snug Carrycot is the perfect lie-flat carrycot that converts your Phil & Teds Dot v3 Pushchair, Phil & Teds Sport v5 Pushchair and Phil & Teds Navigator Pushchair into a parent-facing haven for your newborn. 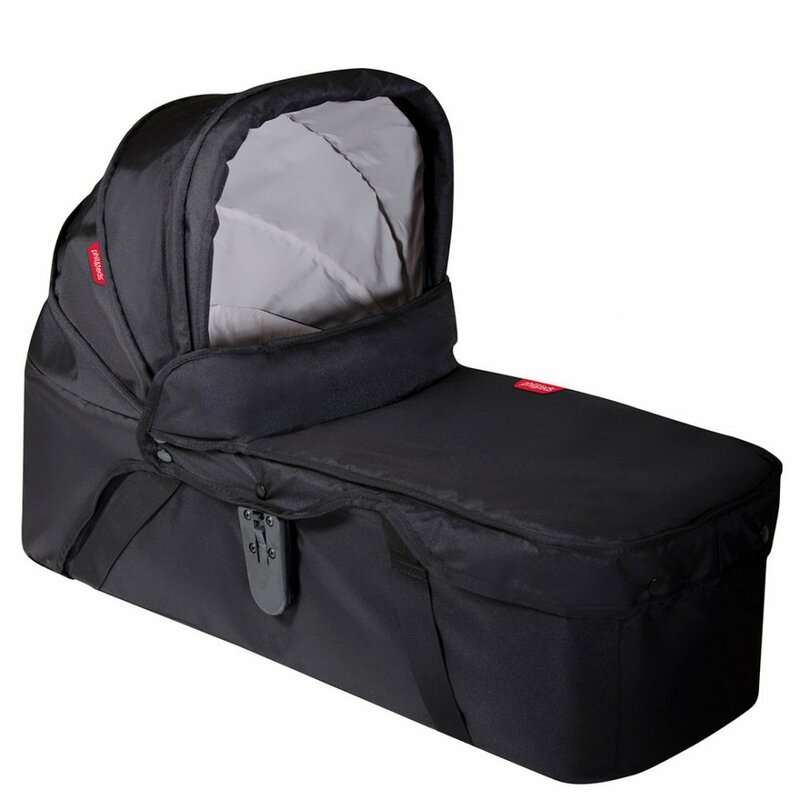 The Phil & Teds Snug Carrycot is ideal for newborns up to 6 months old. It clips to your Phil & Teds Dot v3 Pushchair + Double Kit, Phil & Teds Sport v5 Pushchair and Phil & Teds Navigator Pushchair to allow your little one to face you for intimacy and bonding time. This carrycot offers supreme comfort for your little one with its padded mattress and sides. The carry handles of the Snug Carrycot allows for easy transfer from your Phil & Teds Pushchair, and the exterior is durable and can be easily wiped clean. The simple 'Click 'n' Go' buggy attachment means that this carrycot is easily manoeuvrable from your Phil & Teds Pushchair. In addition to this, the removable top cover of the Phil & Teds Snug Carrycot allows for quick and easy access to baby. The sun hood is also removable and adjustable (from upright to flat) which means you can adjust this to suit your little ones needs. This carrycot is free-standing with base feet which helps to keep it off the floor and free from dirty marks!